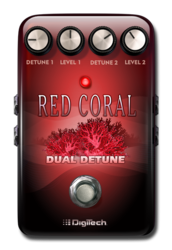 When you are in need of 'fattening' up your tone, look no further than the Red Coral Dual Detune. 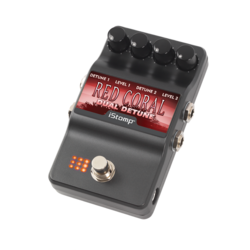 Detune is an effect similar to a chorus in that it adds a slightly pitch shifted signal with the original, only it doesn't modulate the amount of pitch shift. In practice, it can sound like two guitarists playing the same part simultaneously adding an extra dimension to your sound. 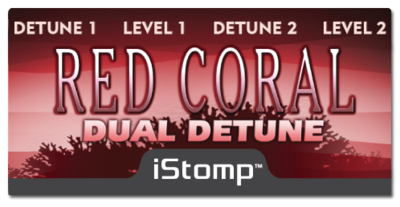 The Red Coral Dual Detune features two independent voices capable of +/- 24 cents of pitch shift for subtle to lush detune effects. 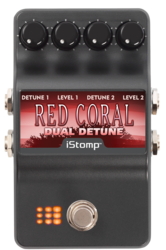 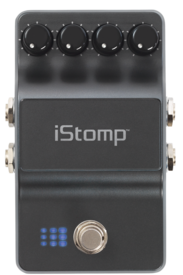 Each voice has independent level control so when used in stereo, one channel can be detuned while the other channel remains unaffected.